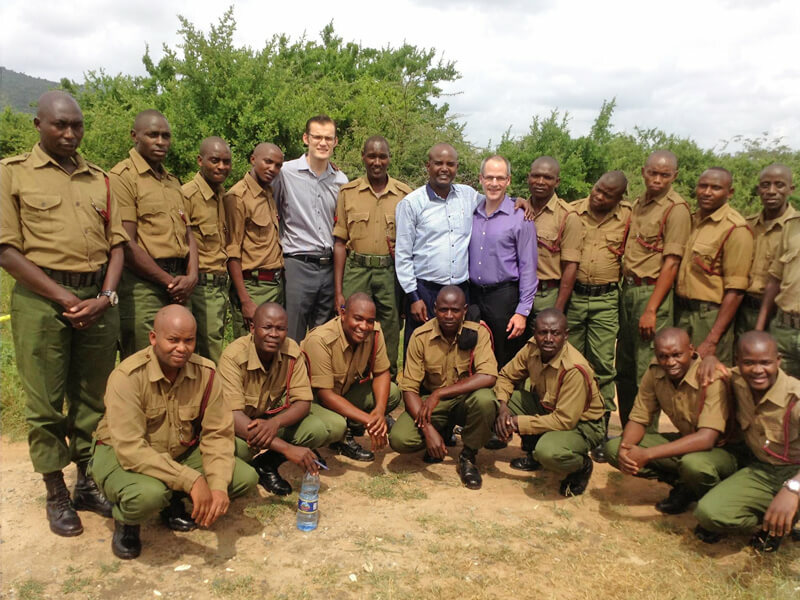 Military police chaplains in Kenya are receiving more Bible training, thanks to Rhema Kenya. Vidar Ligard, the school’s director, recently headed up a Rhema team that gave the chaplains 21 hours of Bible teaching. Ken Taylor from Rhema Quebec and William Meni, Rhema Kenya’s assistant director, helped Ligard present the classes. The chaplains patrol remote areas along Kenya’s border with Somalia. These men halted their normal tactical training to receive the biblical instruction. Before the week of Bible training was over, the entire class was filled with the Holy Spirit, Ligard said. They left empowered to return to their positions and fields of influence. The military chaplains also pastor police compound churches that are open to the public. The chaplains can minister to people along the dangerous Somalian border who could never be reached through traditional missions efforts. In February Rhema Kenya celebrated its 10th anniversary during Rhema USA’s Winter Bible Seminar. Friends and family from across the United States and Africa came to celebrate this milestone. Guests were treated to hors d’oeuvres and a passionate report of the opportunities coming up for Rhema Kenya. Ligard also announced that their family of five will permanently relocate to Africa this summer. • Increase the number of campuses from 8 to 40. • Begin restoring their ministry facility. • Develop a distribution center for Faith Library Publications materials. For more information about Rhema Kenya, please go to safarimission.org.